When looking for electronics manufacturers shenzhen for your company to partner with, it is important to know what options are available within a facility. Electronic manufactures Shenzhen pay careful attention to the production of electronic manufacturing services and production needs. From local companies to investments overseas, POE Precision Electronics Company is skilled in taking on new and deliverable ideas. POE Precision Electronics Company is knowledgeable on how to take a design all the way through to the certification process for mass production. 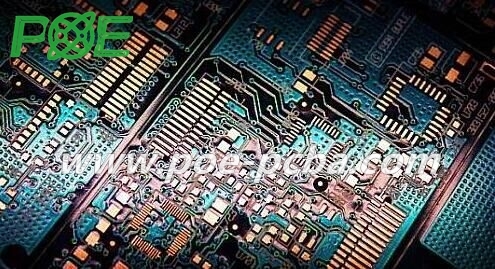 With careful understanding of the details involved for creating a printed circuit board design, the professionals at POE can help an idea be created through the testing and housing process to make it into certified production. The rapid progression of advanced technology has allowed electronics manufacturers Shenzhen to create a facility that meets a wide range of need. The facility includes stencil printing, four advanced surface mount technology lines, and steel mesh manufacturing capabilities. Electronics manufacturers Shenzhen POE PRECISION ELECTRONICS CO.,LTD works with low to medium production volumes that can suit the needs of various electronic designs. The process includes quality checks through x-ray machines that test for any faults or wrong circuit wiring. When presented with an idea POE PRECISION ELECTRONICS CO.,LTD can take on the responsibility of guiding a prototype through to production with evaluation of the professional engineers on staff. When it comes to sourcing the parts during the manufacturing process, electronics manufacturers Guangdong have over ten years experience of finding components from the mainland in China, as well as from trusted sources overseas. Sourcing experience allows for a fast turnaround that can meet small and large-scale manufacturing needs within the facility. Each product can include high quality components from trusted suppliers who provide caps, buttons, switches, LEDs, resistors, and connectors. The engineers at electronics manufacturers through POE Precision provide unique insight into the advancement for a product to be the best it can be on the market. From products in medical equipment, communications, defense, or aerospace, POE can fit the needs of full-scale manufacturing. The products made at the facility ensure quality and stability during the manufacturing design and production line. Quotes can be easily created in under four hours for a fast idea about what it will look like working with electronics manufacturers in Guangdong. POE Precision Electronics is trusted and certified. The staff believes in professional precision and dedication in creating the best products possible on the market for electronics manufacturers Shenzhen China.